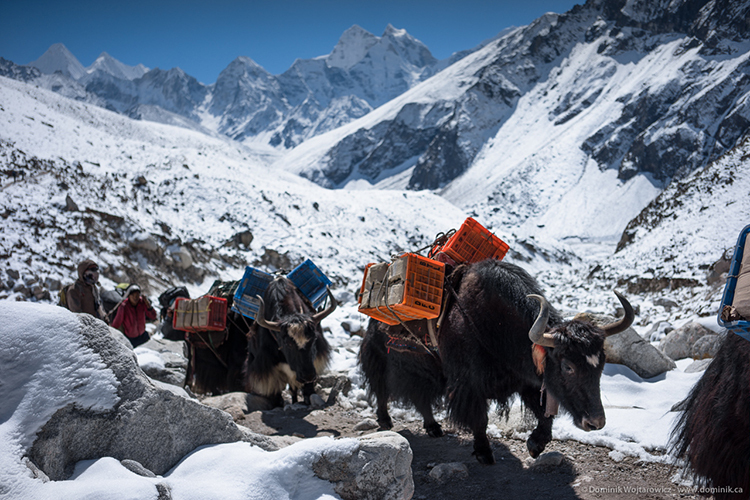 The yak delivery train in Nepal. Sony A7r | Sony / Zeiss FE 35mm f/2.8 ZA 1/6400sec @f3.2 (100iso). While this scheduled post was prepared before recent earthquakes in Nepal, I thought you should see with your own eyes some of the beauty of this region and it’s people. Our hearts go out to the families and loved ones of those effected. Today we celebrate their people and culture, their guides, and the incredibly breathtaking piece of this planet they share with visitors from across the world. Intense and harsh landscapes, yes, but there is a reason adventurers and explorers continue to visit; it can prove rewarding beyond all comparison. 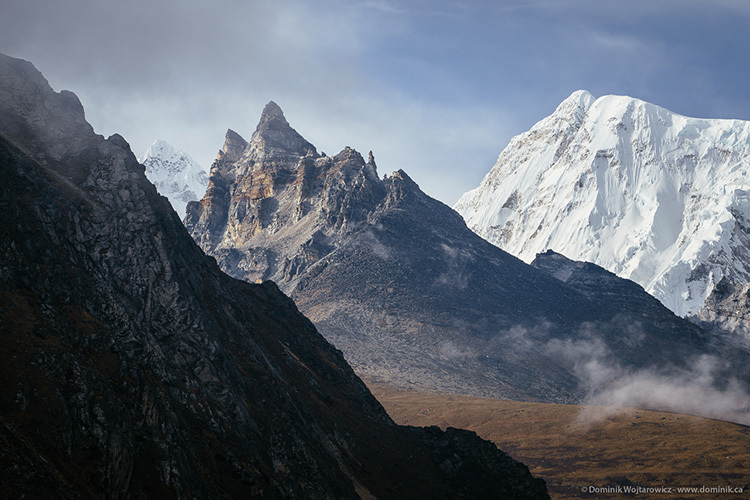 We interviewed professional Visual Effects Artist and Photographer, Dominik Wojtarowicz about his recent one-month adventure in the Khumbu region of Nepal. This type of travel is not for the faint of heart but you’ll see from the photos that it proved to be gratifying, both with breathtaking scenery and new friendships. 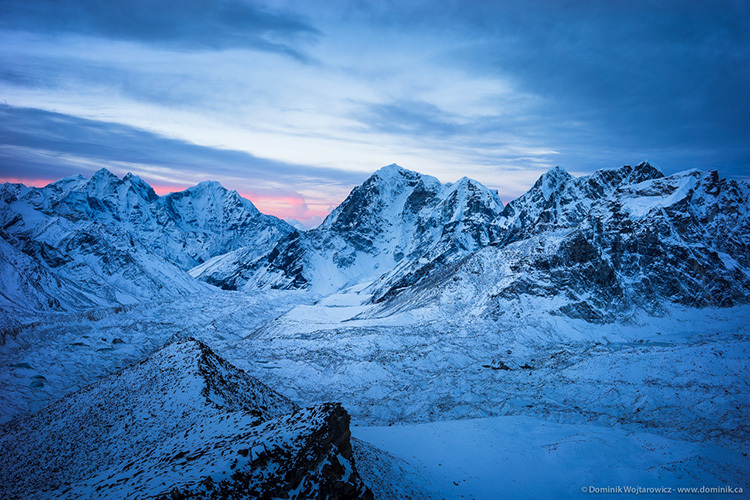 We hope Dominik’s Nepal travel and photography tips will be useful, but more importantly we hope this inspires you. If you would like to contribute to the earthquake relief efforts, Dominik’s Nepalese contacts have recommended we donate here so that we can be sure the money goes directly to help: Support Nepal Earthquake Relief Efforts. Morning view from Kala Patthar, Nepalese Himalayas. Taken with Sony A7r | Sony / Zeiss FE 35mm f/2.8 ZA 1/4 sec @ F8 (100iso). 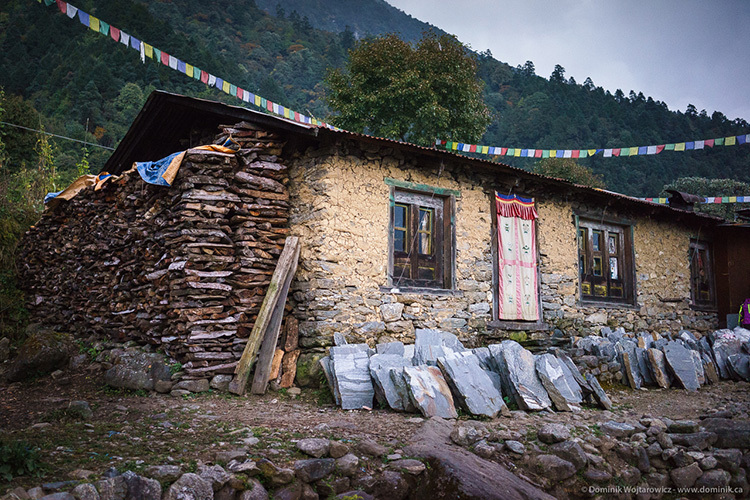 On this trip I stayed in tea houses which are scattered throughout the region. I had a guide and porter with me and they arranged the places we were staying at on a per night basis. Going from door to door in the small villages asking if there is a bed available is fairly common in that area of the world. Even during the high season in October rooms are available without much searching around. 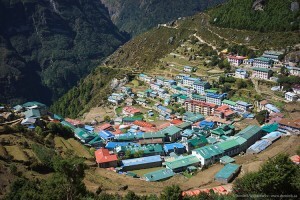 The whole area supports itself on trekkers, so accommodations are plenty. 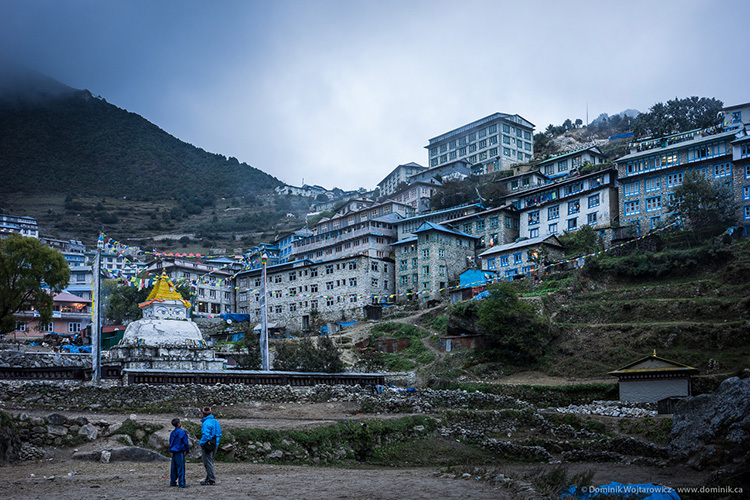 I also stayed for a number of days in Kathmandu, Nepal’s capital which is about a 45 minute flight from Lukla where most of the visitors that visit the region fly to. I took a few cameras on this trip as backup is key. I prefer to shoot with my Pentax 645D and 645Z but Qatar airlines damaged one of my important lenses, so I opted to take my lighter camera kit up to the mountains. My lightweight camera kit consists of two Sony A7R bodies and three lenses: a 35mm 2.8 Zeiss, a 55mm 1.8 Zeiss and a Sony 70-200 F4. Besides something extra on the wide end of the spectrum, I feel most of these lenses suffice in 90% of the scenarios I encounter on most trips. 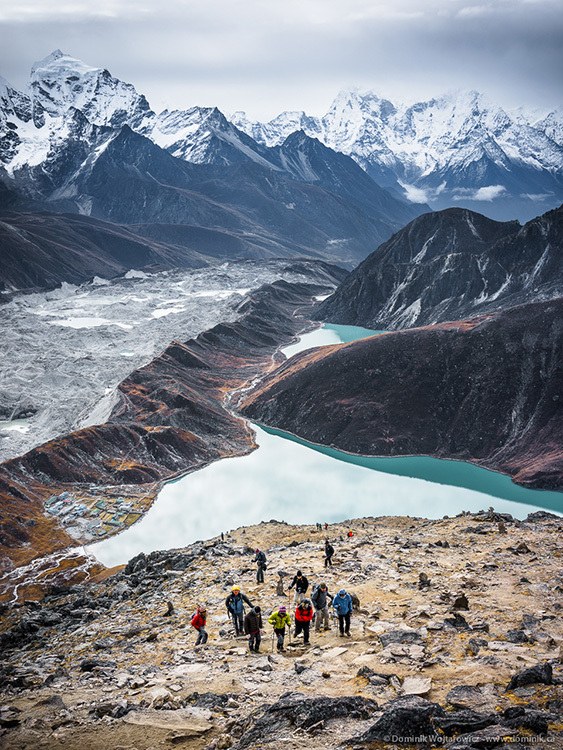 Trekkers going up Gokyo Ri, Nepal. Sony A7r | Sony / Zeiss FE 35mm f/2.8 ZA 1/320sec @ f5.6 (100iso). There were so many great people and stories, but the biggest story that I will remember forever is the big snow storm I was stuck in for 10 hours. There was a big cyclone that hit the Annapurna region, causing a lot of snow and multiple deaths up there. 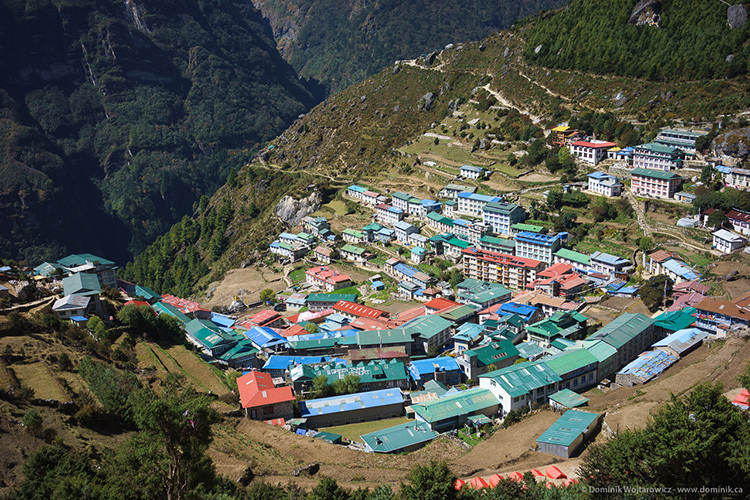 While the Khumbu region did not quite get hit as hard, we got the tail end of the storm. 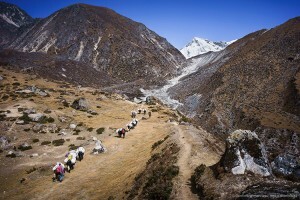 I was planning on crossing the Cho-La pass in order to make it to the base camp of Mt. 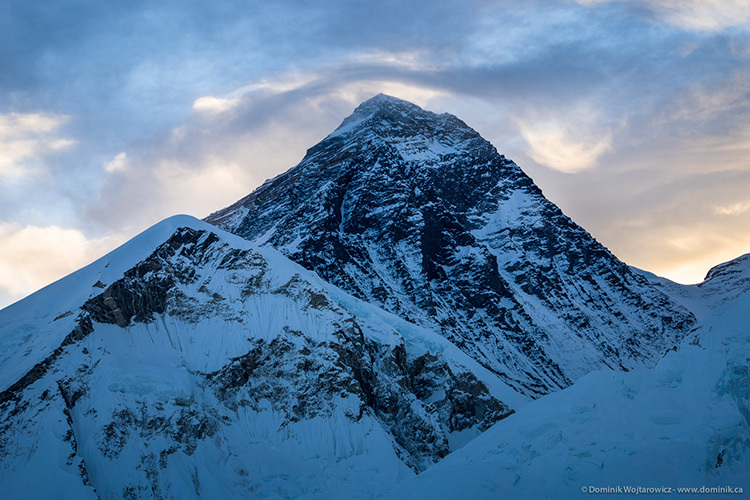 Everest, but my guide suggested we take a detour and back track. 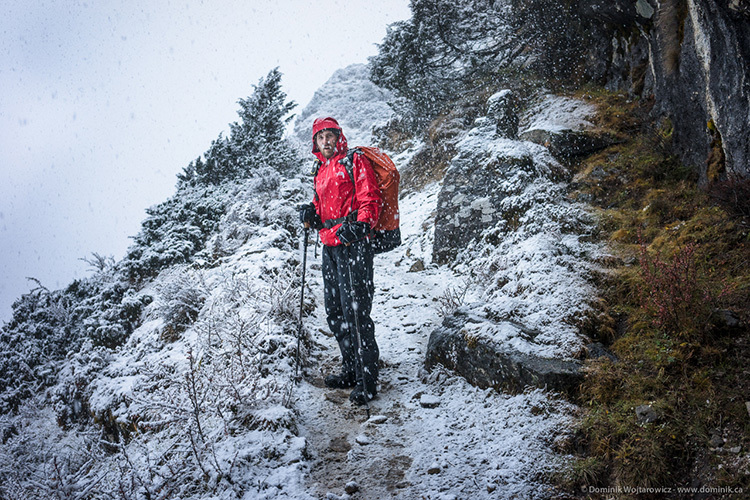 It took us about 10 hours walking through wet snow, mud and yak droppings with night approaching accompanied by lightning and thunder before we made it to the safety of Tengboche. It was by far the most intense 10 hours I had while traveling. 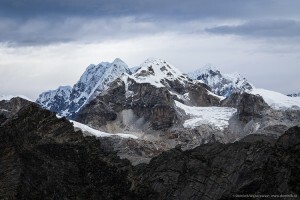 There was some concern about the altitude, and the possibility of altitude sickness (AMS). This is not something one can exercise for, and people who are very fit and lean seem to get effected by it just as much (if not more). I have met a number of people who had to turn back due to AMS and there was a report of one hiker passing away during the night from some AMS related symptom. The first few days I had some trouble sleeping a full night but all of that went away as I acclimatized. This is Dominik at the start of the 10 hour storm. Pack light, especially if you plan on taking camera gear. Bring a solar panel for charging batteries, power is scarce up there and it costs a lot of money to get your devices charged by the tea houses. I recommend the Sherpa 100 Powerpac with Solar Panel available on Amazon. If you walk to the base camp clockwise you get more sun on the solar panel vs doing the trek counter clockwise. Make sure you have all your recommended vaccines. If you are a germaphobe, don’t visit that part of the world. Bring some dried meat jerky. Most food served in the tea houses is heavy on the carbs, which starts to effect your muscle recovery quite rapidly. I don’t recommend eating the local meat as it’s brought in by yak from low altitudes. I met a number of people who had to turn back due to food related complications. 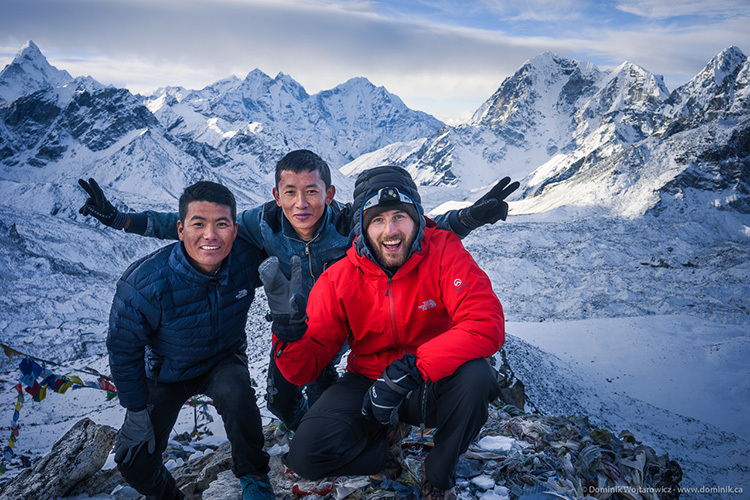 Dominik in Nepal with his guide and porter, Kamwada and Furba. About Dominik: Avid traveler and photographer, Dominik is originally from Toronto, Canada. His recent travels include Cuba, Chile and National Parks across Canada. 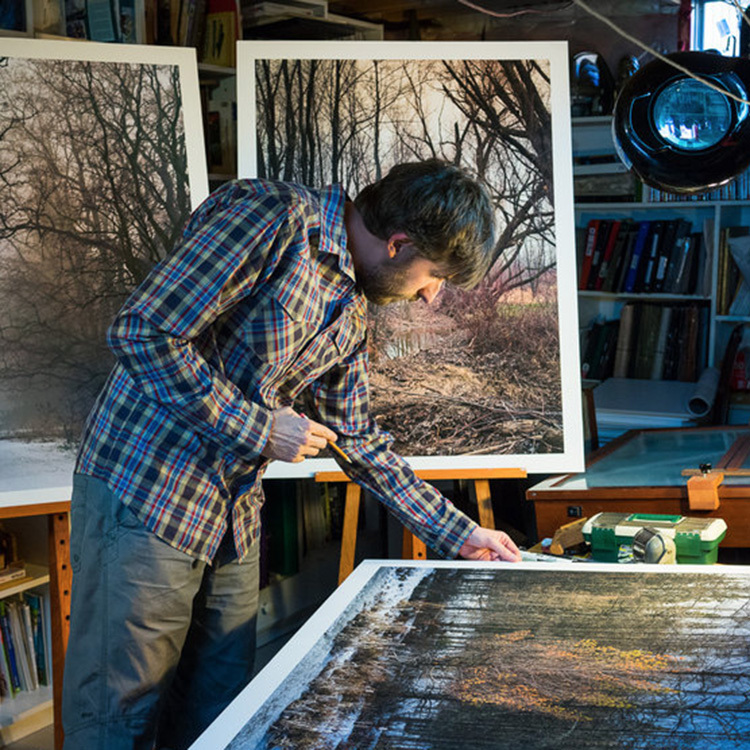 His photographs (both digital and large format film) can be seen at blog.dominik.ca. 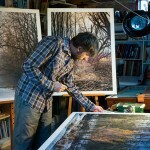 You can also purchase his prints through the contact form on his blog.